Under the contract, Russia was expected to deliver five Mi-171 transport helicopters to Iran before the end of March. Another three helicopters will reportedly be on the way to Iran in March. Iran will use the helicopters to speed up search and rescue missions and to Evacuate people in natural disasters. 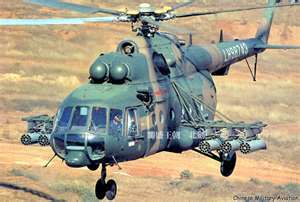 Mi-171 helicopters can operate in severe hot or cold weather conditions and are capable of carrying 25 passengers as well as 12 injured people on stretchers.